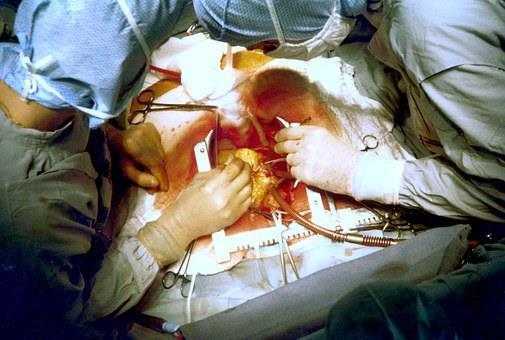 Heart valve surgery is a procedure to treat heart valve disease. In heart valve disease, at least one of the four heart valves that keep blood flowing in the correct direction through your heart doesn't function properly. These valves include the mitral valve, tricuspid valve, pulmonary valve and aortic valve. Each valve has flaps called leaflets, for the mitral and tricuspid valves, and cusps, for the aortic and pulmonary valves. These flaps open and close once during each heartbeat. Sometimes the valves don't open or close properly, disrupting the blood flow through your heart to your body. In heart valve surgery, your surgeon repairs or replaces the affected heart valves. Many surgical procedures may be used to repair or replace heart valves, including open-heart surgery or minimally invasive heart surgery. Your treatment depends on several factors, including your age, health, the condition of the heart valve that is affected and the severity of your condition. Heart valve surgery may be needed if your condition is getting worse, your condition is severe or you're experiencing signs and symptoms of valve dysfunction. Your doctor may evaluate you to determine the most appropriate treatment for your condition. If you're not experiencing signs or symptoms, or your condition is mild, your doctor may suggest monitoring your condition over time. He or she may recommend healthy lifestyle changes. You may be prescribed medications to manage any symptoms. However, your valve may eventually need to be repaired or replaced. In some cases, doctors may recommend heart valve repair or replacement even if you're not experiencing symptoms. If you need heart surgery for another condition, doctors may conduct surgery to repair or replace the affected heart valve at the same time. Your doctor will discuss with you whether heart valve repair or replacement is most appropriate for your condition. Doctors often recommend heart valve repair when possible, as it preserves your heart valve and may preserve heart function. In some cases, you may need heart valve replacement. Doctors may also evaluate if you're a candidate for minimally invasive heart surgery. Your doctor will discuss the benefits and risks of each procedure. Heart valve surgery should generally be performed at a medical center with staff that has experience in performing heart valve surgery and that has conducted high volumes of heart valve surgeries. Some heart valve repair procedures may be performed using a long, thin tube (catheter) and clips, plugs or other devices, but the majority of these remain investigational. Doctors may treat a valve with a narrowed opening with a catheter procedure called a balloon valvuloplasty. In this procedure, a doctor inserts a catheter with a balloon on the tip into an artery in your arm or groin and guides it to the affected valve. The balloon is then inflated, which expands the opening of the heart valve. Doctors then deflate the balloon and remove the catheter and balloon. If your heart valve can't be repaired, your doctor may recommend heart valve replacement. To replace a heart valve, your doctor removes the heart valve and replaces it with a mechanical valve or a valve made from cow, pig or human heart tissue (biological tissue valve). Biological valves often eventually need to be replaced, as they degenerate over time. If you have a mechanical valve, you'll need to take blood-thinning medications for the rest of your life to prevent blood clots. Doctors will discuss with you the risks and benefits of each type of valve and discuss which valve may be appropriate for you. A minimally invasive catheter procedure may be conducted to replace certain heart valves. For example, a catheter procedure may be performed to insert a replacement valve into a biological replacement valve in the heart that is no longer working properly. After your heart valve surgery, you'll generally spend a day or more in the intensive care unit (ICU). You'll be given fluids, nutrition and medications through intravenous (IV) lines. Other tubes will drain urine from your bladder and drain fluid and blood from your heart and chest. You may be given oxygen. Your treatment team may monitor your condition and watch for signs of infection in your incision sites. Your team will check your blood pressure, breathing and heart rate. Your treatment team will also work with you to manage pain you may experience after surgery. Your treatment team will instruct you to walk regularly to gradually increase your activity and to do breathing exercises as you recover. Your doctor will give you instructions to follow during your recovery, such as watching for signs of infection in your incisions, properly caring for incisions, taking medications, and managing pain and other side effects after your surgery. After heart valve surgery, you may be able to return to daily activities, such as working, driving and exercise. Your doctor will discuss with you when you can return to activities. You'll generally still need to take certain medications.